Just coming down to earth now after an unforgettable week of amazing scenery and new friendships made. 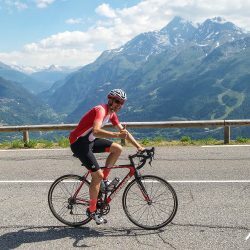 I was thrilled to be able to complete the Challenge route every day, plus some additional extras, to bring my total distance to 634km, and 20,444m of climbing! All in all, it was a brilliant trip, and I cannot speak highly enough of Nathan and Neil who were patient, efficient and fun throughout. 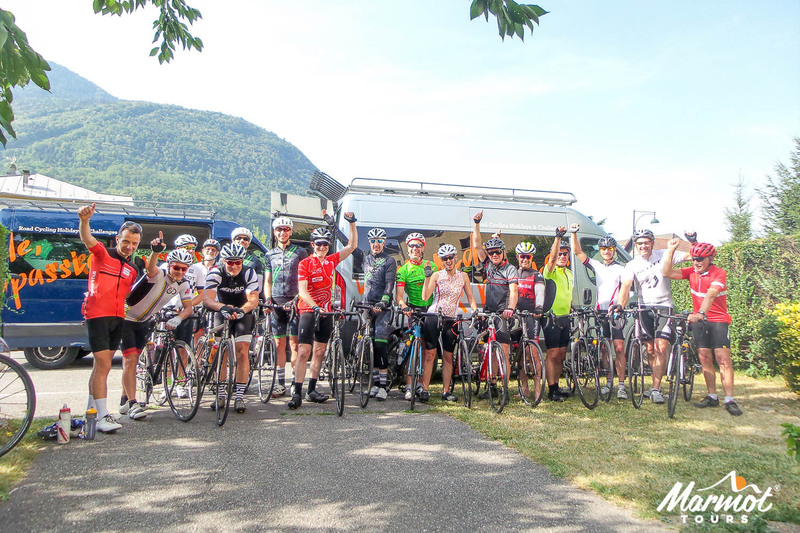 This road cycling itinerary has been carefully crafted so you can cycle the most scenic and challenging cols and stage endings that the Savoie Alps has to offer. 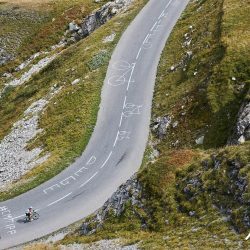 Our tantalising circular route takes in all the Classic Tour de France climbs: Cormet de Roseland, l’Iseran, Telegraphie, Col du Galibier, Alpe D’Huez, Croix-de-Fer and la Madeleine. 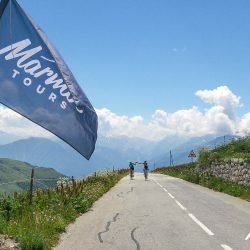 Our Classic Route starts as gently as the Alps allow, gradually cranking up the daily altitude gain from 1200 to 2100m during the week. 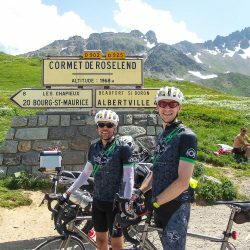 Each day there are ‘optional extras’ increasing the possible daily ascent to over 2600m, thus making this holiday suitable for those looking to really push themselves and do the Classic Cols Challenge. It is ideal for mixed ability groups or couples. 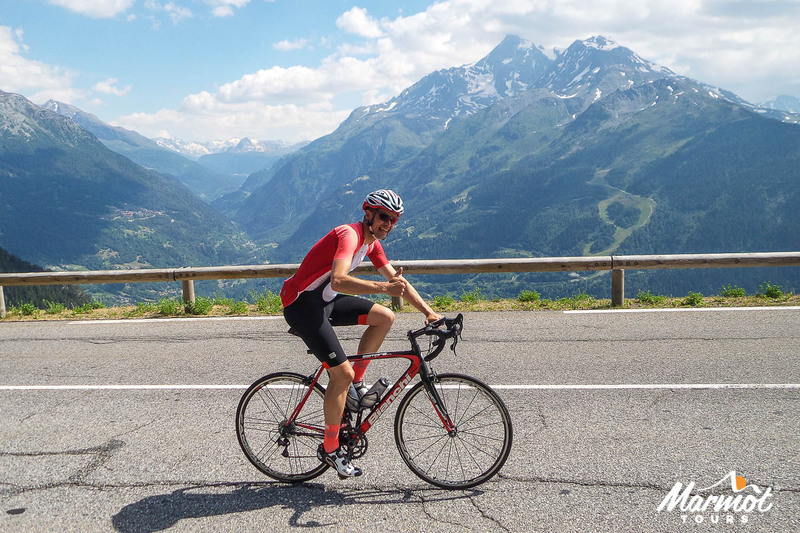 This week is real escape and riding on the quiet roads through the dramatic mountain scenery of the Alps, with its far reaching views, is a joy, not to mention the sense of achievement as you summit these climbs. 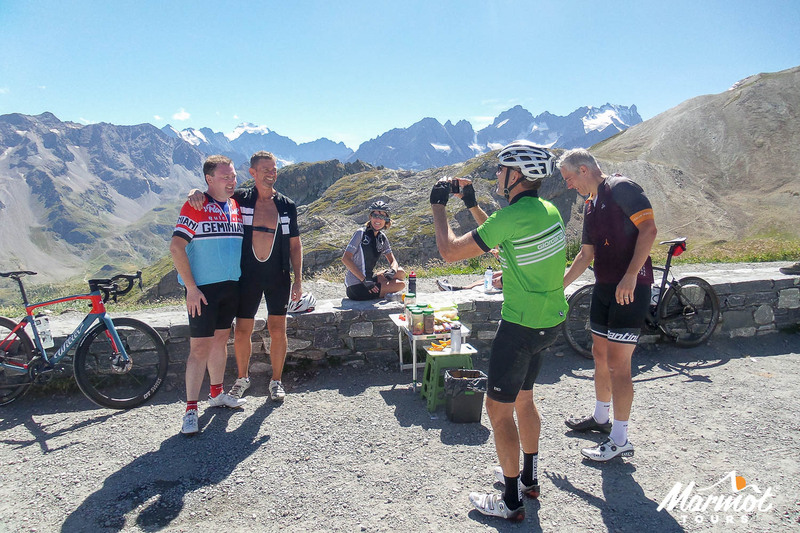 We also have a Classic Cols of the Southern Alps Cycling holiday. Included transfers from Geneva airport to Albertville (1hr 30). Meet your guides and have a welcome briefing and great dinner. You will love this ‘lost paradise’ with its lush pastures and quiet roads. 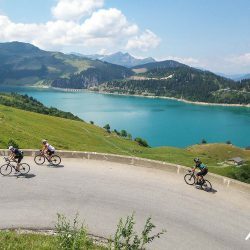 Follow the River Doron to the beautiful market town of Beaufort for a coffee and cake, before the road changes tempo and you climb up through the forest to the stunning Lac de Roseland and a well positioned restaurant. 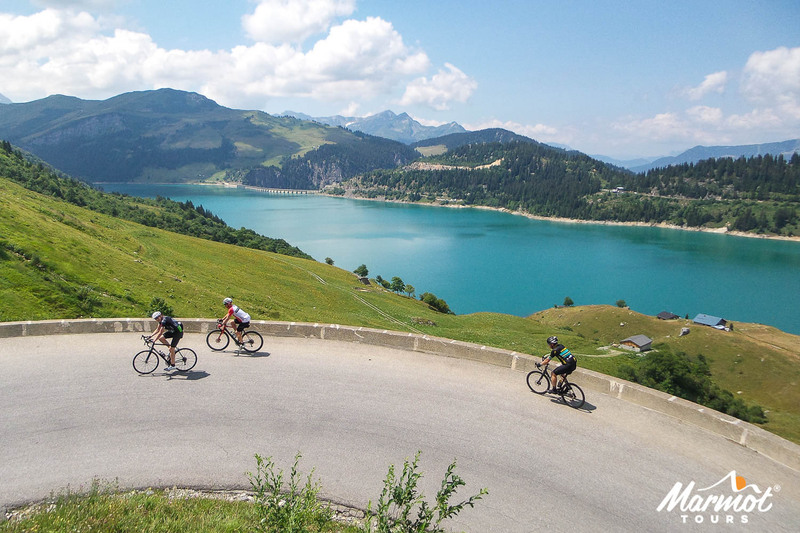 The final 7km of the Cormet de Roseland (1967m) climb is a delight. From here you descend into Bourg-St Maurice, and then onto the town of Seez. 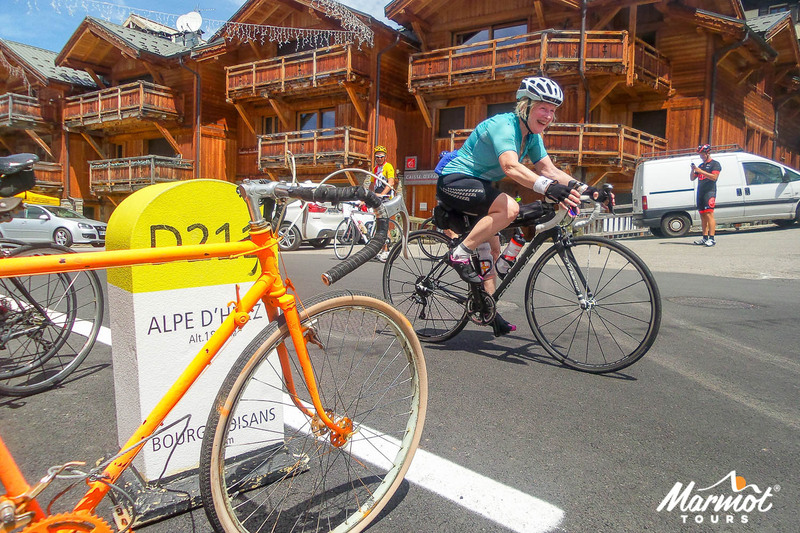 Those left still wanting can take on the legendary Col de Petit St Bernard (2188m) – a climb that has nothing ‘petit’ about it! 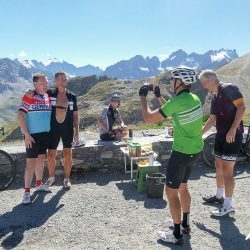 The savage climb up the Col d’Iseran (2764m), the 2nd highest road in Europe, starts just outside Bourg St Maurice and keeps on going up (for about 50kms!). 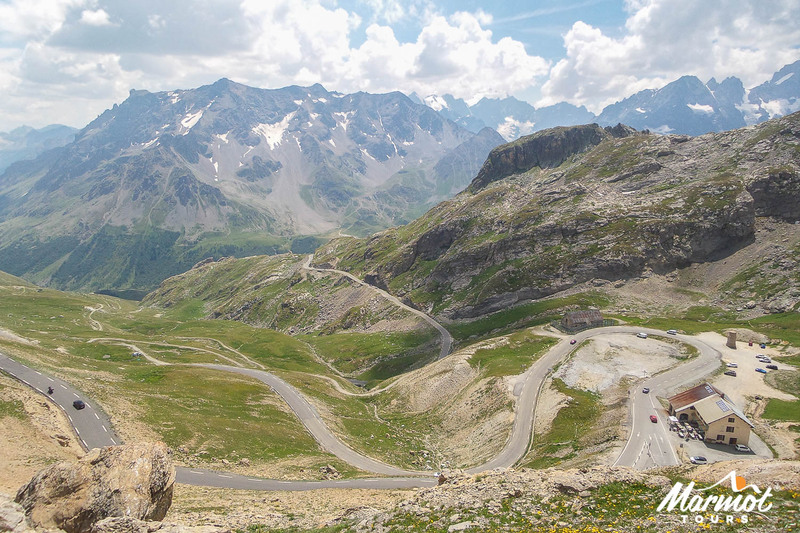 Initially you are on a fairly busy road but the cars soon give way to marmots, and you can enjoy the massive views. 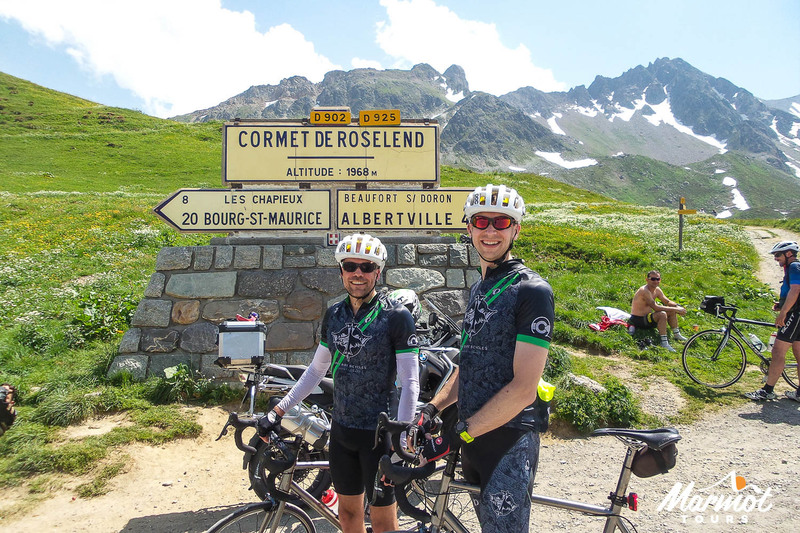 What goes up must come down and the 30km descent down to Lanslevillard is truly magnificent, and well deserved. 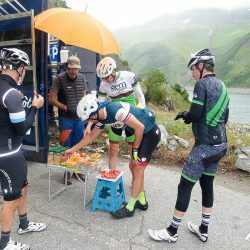 Some of you may feel the need to visit the cafe on the top of the Col du Mont Cenis (2083m) at the end of the day and if you feel that doing over 3000m of ascent is essential then making a detour up to the stage ending of Tignes / Val Claret (2007m) will no doubt be tempting. Tonight we stay in the ski resort of Lanslevillard. 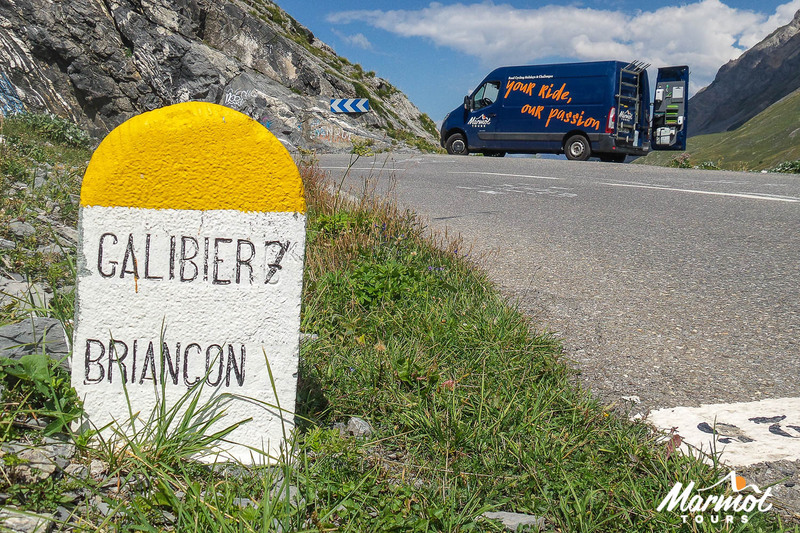 Today you find out why French cyclists call the Col du Galibier, the ‘Giant of the Northern Alps’! 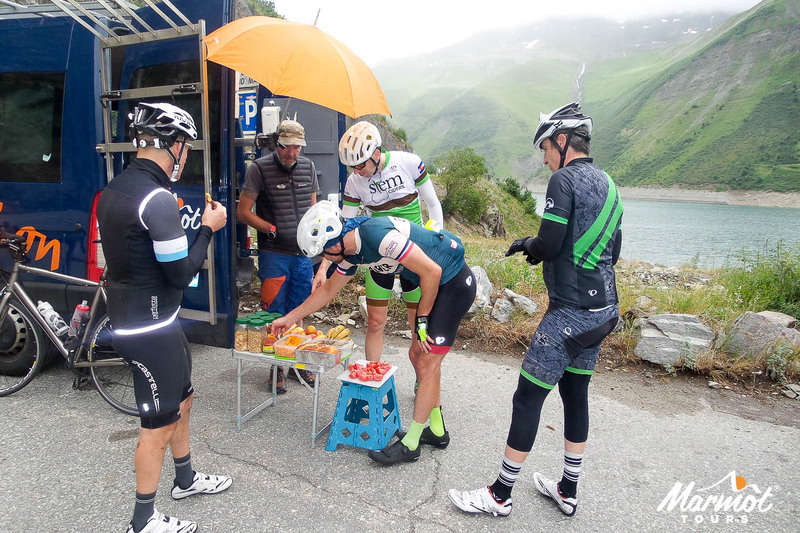 Climb steadily over the Col du Telegraphe (1568m) followed by a short descent to the town of Valloire for a snack. 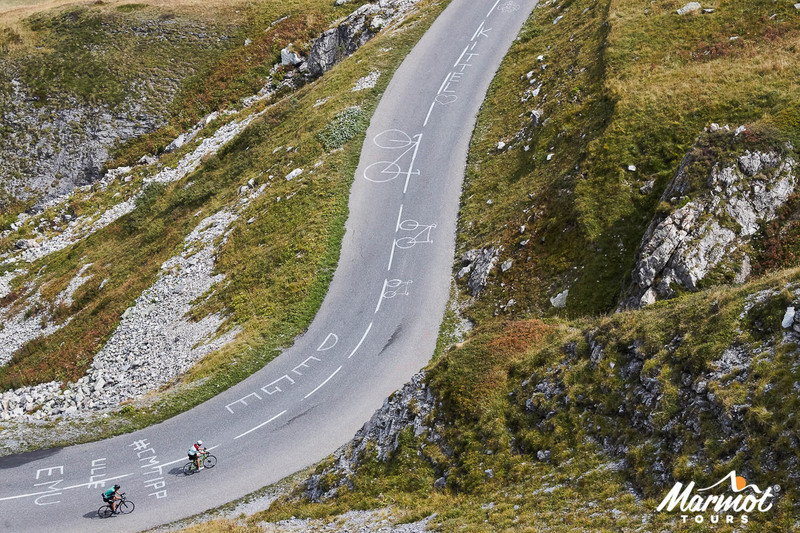 Then, the ‘real climb’ – 22km of astonishingly beautiful cycling! Rather pleasingly, it’s ‘down’ for the rest of the day, to the charming resort of La Grave. 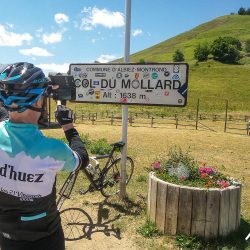 As for extras: the first, early in the day, is up to the ski resort of Valmeinier (1800m) and the second takes you back up the Col de Galibier (2646m) from the South…..well it is the classic cols CHALLENGE! 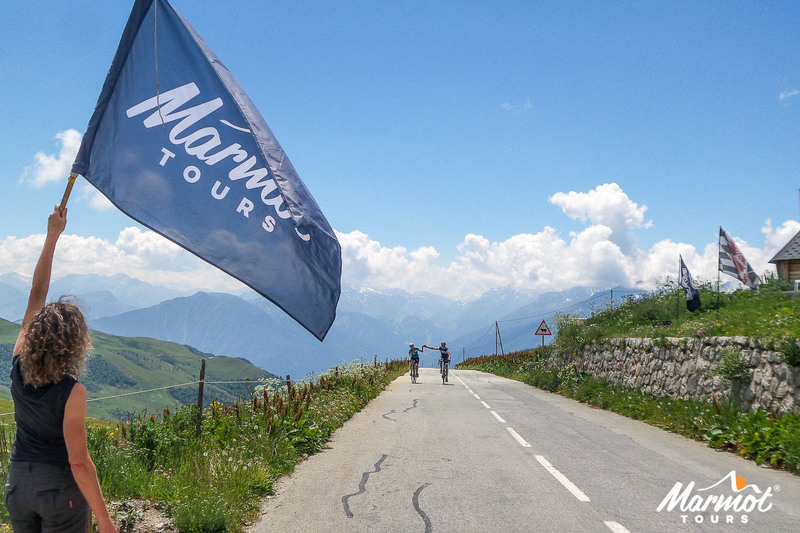 The Alpe D’Huez (1845m) has been used over 25 times in the TdF since 1952 and is the grand finale of ‘La Marmotte’ (the cyclosportive). 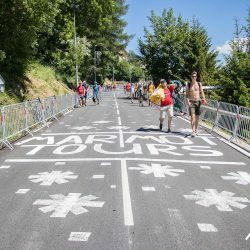 Despite 21 relentless hairpin bends, it is actually one of the easier climbs on your tour, so you should be done and dusted by lunchtime. 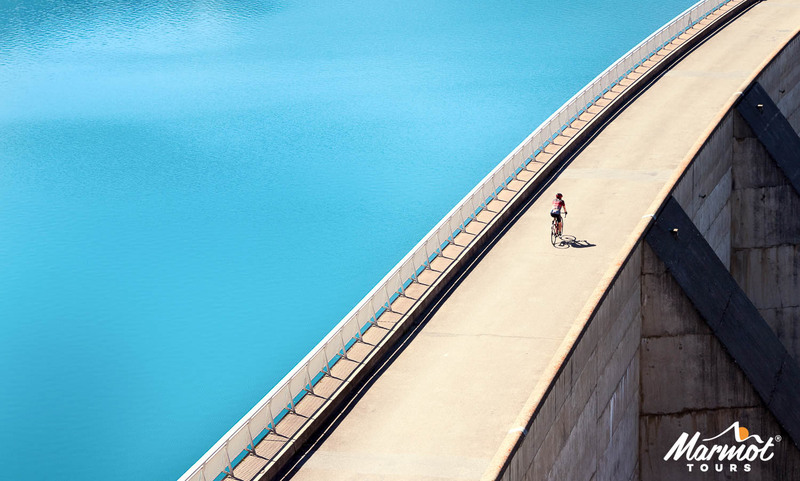 To follow, an afternoon soaking up sun sunshine from the balcony of the hotel or a bit of retail therapy in the many bike kit shops in town. 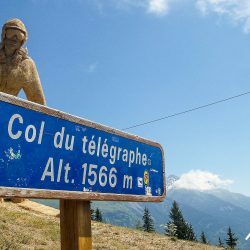 If you want more, then nip up to the ski station of Les Deux-Alpes (1645m) first thing in the morning and meander along to the Col de la Sarenne (1999m) at the end of the day. 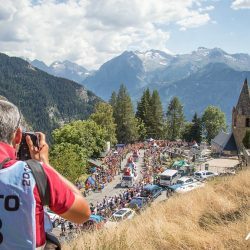 There is always the option of taking on all the 2013 stage, by descending back down into the valley bottom and taking on the Alpe d’Huez again! Descent first thing, traversing down the Oissans valley, before taking on la Croix-de-Fer (2067m). 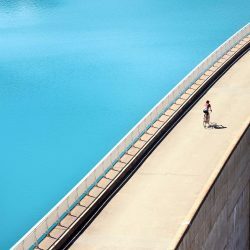 Gradients are generally kind except for a few really mean sections! However, there is great cafe half way up! 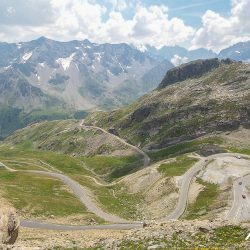 From the Col, you descend down into St Jean de Maurienne. As always there are options for those wanting more. 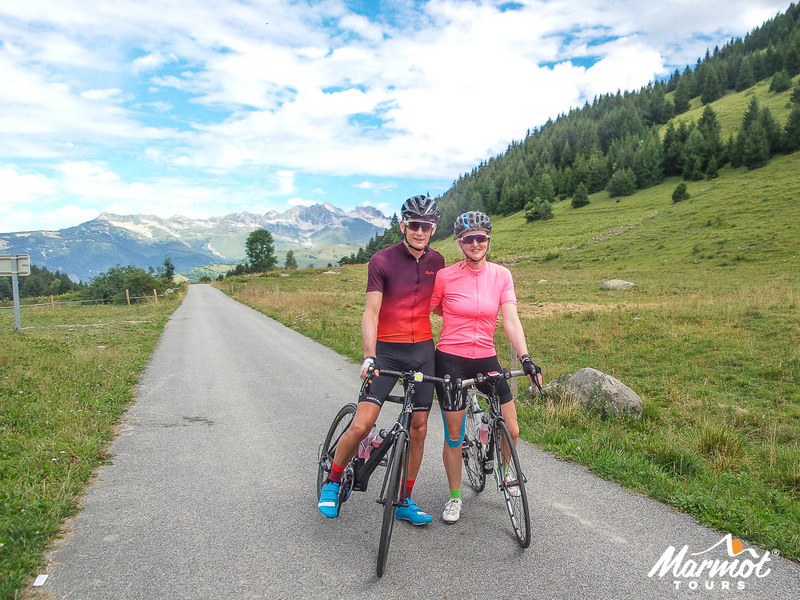 Firstly, a detour up to the remote and beautiful Col de Mollard (1630m). 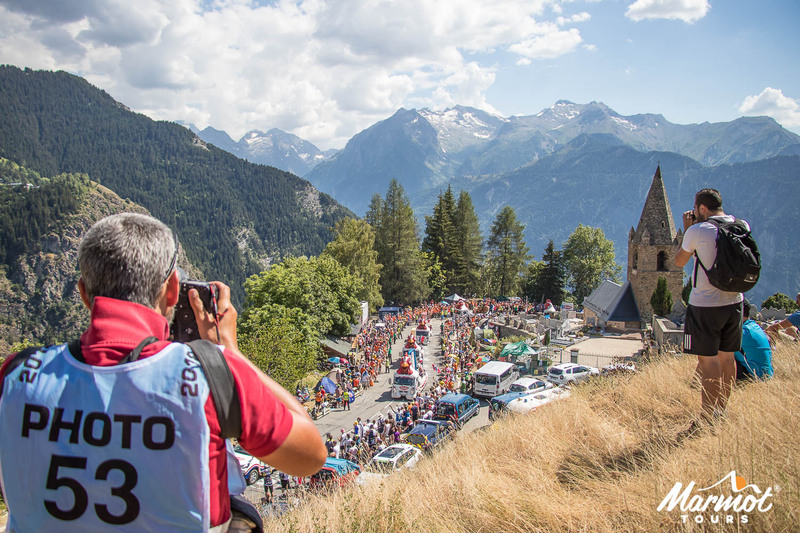 The second is the much feared TDF stage ending of La Toussuire (1705m)! 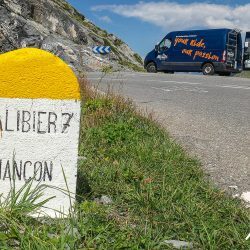 It may not be the longest or the highest but the Col de la Madeleine (2000m) is a cheekily steep climb, with the average gradients hovering around 8 or 9% for most of the 19km! 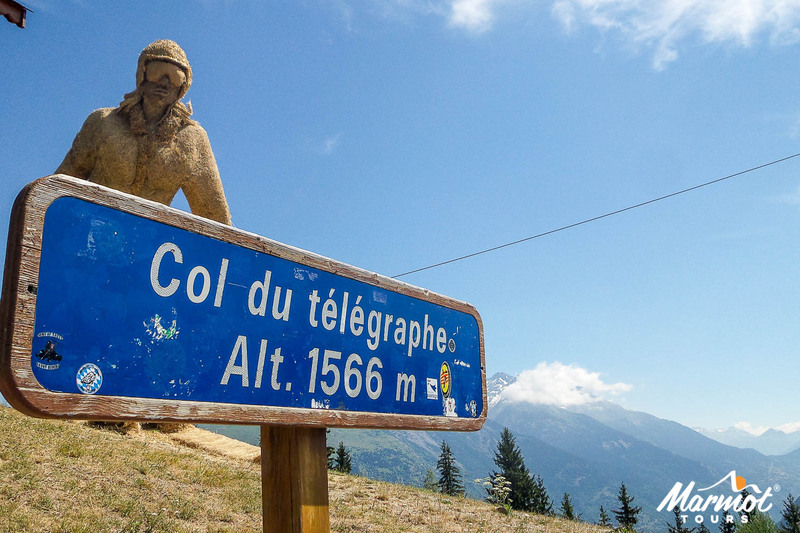 The Col itself is a fitting finale to our trip with an amazing view of Mt Blanc to the North and the climbs you have conquered to the South. 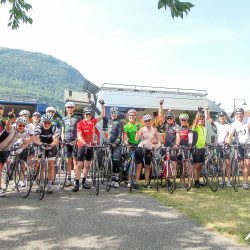 Linger as long as possible, as once over the other side you free-wheel down to Albertville, where it all began 6 (great) days ago. If you get time, it is worth wandering to the fortified town overlooking the hotel. 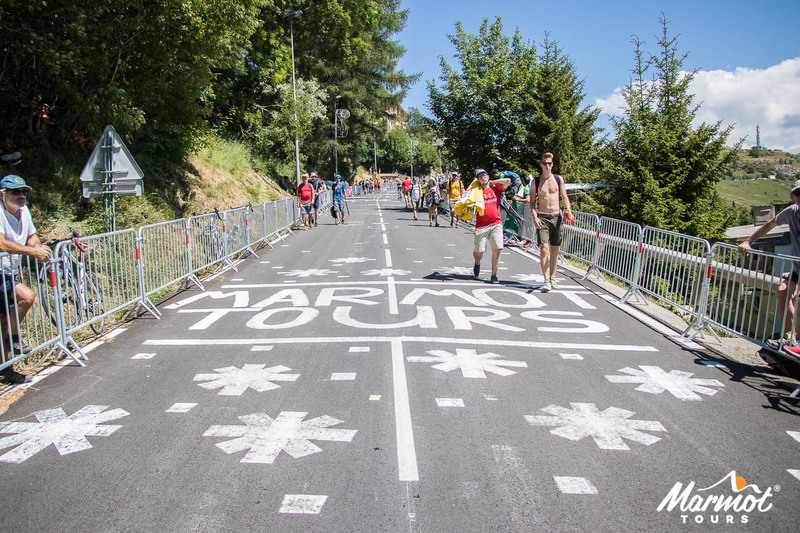 Today’s optional extra was a 2015 Tour classic, thanks to it’s hairpin bends: the Lacets de Montvernier. 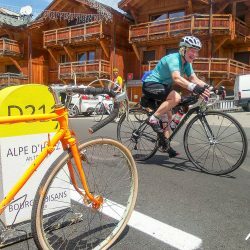 It leads you on to the Col du Chaussy and then neatly back to the Classic Route. We offer included transfers from Albertville to Geneva airport.